Many people mistakenly believe that better business decisions can be enabled relatively simply by implementing BI and analytics within a company, but it’s really not as easy as that. The fact is, BI and analytics will only help your company improve if your organization already has clean and accurate data at its disposal. However, data integrity issues are a far more common problem than you may realize. At Illumiti, our experience is that data quality and consistency issues arise and grow over time, and there are a number of factors that lead to that. How many of the following sound familiar to you? Manual data capture. Entering data into a system by hand, such as names, addresses, invoice numbers and pricing, for example, is very prone to errors. Multiple formats used to capture the same type of data. This can include addresses, such as postal codes, entered with and without a space. And if this data is entered in multiple formats by multiple people, it won’t be easy for the system to find a match, or there may be a lot of duplicate information. Inability to identify a similar entry in the system. This can include different spellings of people, company or product names, where the system doesn’t know it’s the same entity. Again, this leads to duplicate entries. Different transactions posted against each duplicate entity. This will cause processing errors as well as the inability to see the big picture accurately. Errors in manual entries produced by one system are then copied into another system. You may capture a contact on a CRM system as a prospect, but when you make a sale and they become a customer, there might be a different system for that. Because of lack of integration, you need to manually move that information into another system, and that means you are susceptible to errors. Information is not up to date in every system. Ideally, there should really be a single-source system, which acts as a master, and can distribute updated information to the others. But because this can be expensive to build and automate, many organizations do not have such as a system. Another potential issue arises when the calculation of key performance indicators (KPIs) is done differently in different departments. If the calculations are done in a different way in Sales than in Operations or Finance, for example, then two areas of your business may be using different numbers or calculations when reporting on the same thing. One way to reduce these inconsistencies is to operate the business using integrated enterprise business applications. Illumiti views the integrated ERP (Enterprise Resource Planning) system as the critical backbone that really enables an organization to maintain consistent data with a high level of integrity. Because once that system is in place, the organization can scale efficiently, grow its business and introduce business intelligence and analytics. This allows the organization to better visualize business performance; automate decisions representing the bulk of day-to-day cases which follow clear business rules; and highlight exceptions with accurate supporting information – where decisions actually need to be made manually based on the most timely and up-to-date information. In short, the focused implementation of BI and analytics layered on top of an integrated ERP environment can allow your company to focus on its core business and make accurate, fact-based decisions much more effectively, and more quickly, than it was able to do before. 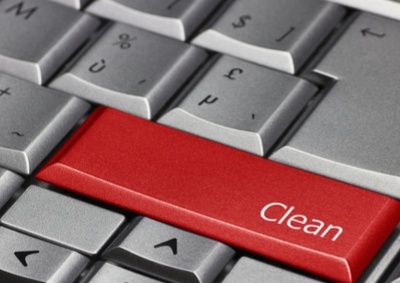 Of course, cleaning up existing master data as it makes its way into a new ERP system is paramount in order to achieve these business objectives.